Sylvia Julia (Peuhl, Corrello) Thomas, age 80, of Sylvania, died Saturday, March 30, 2019. She was born November 13, 1938 to Rose (Chmielewski) and George B. Peuhl in Toledo, OH. She was a graduate of Whitmer High School in 1956 and was in the National Honor Society, she attended the Ohio University where she graduated in 1963 with a BS in Education. Sylvia taught in the Washington Local and Springfield Township schools retiring in 1993. 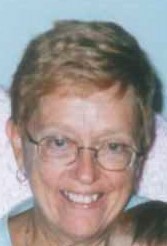 She was a long- time member of Our Savior Lutheran Church and Mayfair Plymouth Congregational church for over 20 years. She enjoyed teaching Sunday School and Bible School and attending bible classes, loved tlistening to music and dancing. She was an avid reader loved Elvis and collecting anything and everything Elvis, loved to feed the birds and squirrels, always had cats and dogs for the past 50 years, loved to tend her roses in the garden loved all children especially adored her children and grandchildren. Sylvia loved driving her 2000 green Mustang which she owned for 18 years. She married Ronald Scott Corrello in 1964 they had two children, he died in 1987. She married Patrick J. Thomas in 1992 and he died in 2008.